April 6, 1830 - Joseph Smith organizes the Mormon Church, known as the Church of Jesus Christ of Latter-Day Saints, in Fayette, New York. He had published the Book of Mormon on March 26, 1830. May 26, 1830 - The United States Congress approved the Indian Removal Act, which facilitated the relocation of Indian tribes from east of the Mississippi River. Although this act did not order their removal, it paved the way for increased pressure on Indian tribes to accept land-exchange treaties with the U.S. government and helped lead the way to the Trail of Tears. June 1, 1830 - The United States continues to expand, increasing its population 33% in one decade to 12,860,702 in the 1830 census. The center of U.S. population moved west, but only slightly, to a point nineteen miles west, southwest of Moorefield, West Virginia. 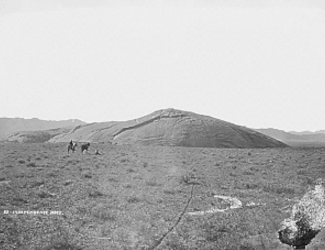 William L. Sublette, with the goods from the Rocky Mountain Fur Company (known as from 1830-1833), took the first wagons along the Oregon Trail to the Rocky Mountains, diverting at South Pass as he went to the 1830 trade rendezvous at the Little Wind River in present-day Wyoming. 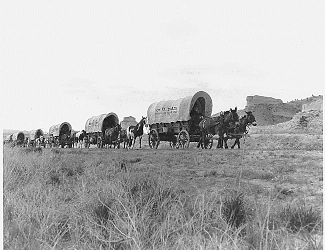 The supply caravan included eighty-one men on mules, ten wagons, and two carriages. December 10, 1830 - American poet, Emily Dickinson, is born. March 19, 1831 - The first bank robbery in United States history occurs at the City Bank of New York. Edward Smith robbed the Wall Street bank of $245,000. He would be caught and convicted of the crime with sentencing of five years in Sing Sing prison. May 27, 1831 - Jedediah Smith, legendary mountain man and fur trader with the Rocky Mountain Fur Company, is killed by Comanche on the Cimarron River. The expeditions by Smith were noted as the most dangerous explorations during the height of the fur trade years. June 30, 1831 - At Arlington, Virginia, overlooking the capitol at Washington, D.C., Robert E. Lee, then a lieutenant in the Federal Army, married a great-granddaughter of Martha Washington, Mary Custis. August 21, 1831 - A local slave rebellion in Southampton County, Virginia, led by Nat Turner, a black slave, kills fifty-seven white citizens. Turner would be captured on October 30 of the same year, tried, and hanged on November 11 for his part in the uprising. Cyrus H. McCormick, U.S inventor, invented and demonstrated the first commercially successful reaper, picking up where his father left off. He developed the reaper over six weeks time with the assistance of his black helper Jo Anderson. The reaper would be used in their 1831 harvest in the Shenandoah Valley of Virginia. McCormick would patent the reaper in 1834. April 20, 1832 - The first act of Congress to protect a natural resource was signed by President Andrew Jackson. 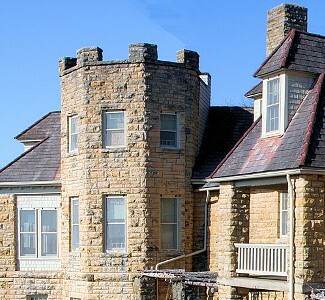 It reserved four parcels of land with hot mineral springs in Arkansas Territory at Hot Springs. April 8, 1832 - The Black Hawk War begins and would rage from Illinois to Wisconsin through September. It would consequently lead to the removal of Sauk and Fox Indians west, across the Mississippi River. July 24, 1832 - The first wagons crossed the Continental Divide on the Oregon Trail at Wyoming's South Pass when Captain Benjamin Bonneville and Joseph R. Walker navigated one hundred and ten men with twenty-one wagons into the Green River Valley. 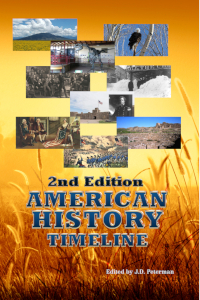 October 8-10, 1832 - The six year campaign known as the Trail of Tears begins when Washington Irving, Henry Levitt Ellsworth, and Captain Jesse Bean, at the Arkansas River, begin one of the first steps in the U.S. campaign to remove Indians from their homes on the east coast. November 24, 1832 - South Carolina convention passed the Ordinance of Nullification, which was against the institution of permanent tariffs. The state also, on this issue, threatened to withdraw from the union of the United States of America. March 1, 1833 - The United States Congress passed a compromise tariff act in response to South Carolina's objections. The state of South Carolina subsequently withdrew the Nullification Ordinance upon its approval. March 2, 1833 - The Force Bill is signed by President Andrew Jackson, which would authorize him to use troops to enforce Federal law in South Carolina, if necessary. March 4, 1833 - The second term inauguration occurs for President Jackson, with Martin Van Buren as Vice President after the resignation on December 28, 1832 of John Calhoun as Vice President. Jackson had won a convincing victory in the November election. His defeat of Henry Clay and the National Republicans saw an Electoral College vote of 219 to 49. He also won the popular vote victory. June 24, 1833 - The United States frigate Constitution, "Old Ironsides," was retired to the initial naval drydock at the Charlestown Naval Yard in New England, where it remains on exhibit as part of Boston's history. September 2, 1833 - Oberlin College is founded. It refused to bar students on the subject of race and included the distinction of becoming the first college in the United States to offer coeducation. January 3, 1834 - Stephen F. Austin, the Father of Texas, is imprisoned by Mexican government officials in Mexico City for insurrection. 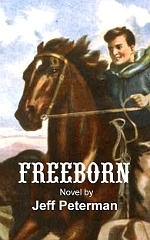 He was not tried and finally returned to Texas in August 1835. March 18, 1834 - Pennsylvania's Main Line canal was linked between Philadelphia and Pittsburgh by a system of ten inclined planes which crossed the Allegheny Mountains and began operations. March 28, 1834 - The United States Senate censured President Andrew Jackson for de-funding the Second Bank of the United States. John Jacob Astor, a German immigrant, was commonly known as the richest man in the United States. He was the organizer of the American Fur Company, which he sold in 1834. October 14, 1834 - Henry Blair receives the second patent awarded to an African American when he patents a corn planter. January 30, 1835 - In the United States Capitol, Andrew Jackson encounters an unsuccessful assassination attempt from an unemployed house painter, Richard Lawrence. Jackson, after two point-blank shots misfired, confronted his attacker with a cane. This was the first attempt on the life of a President of the United States. 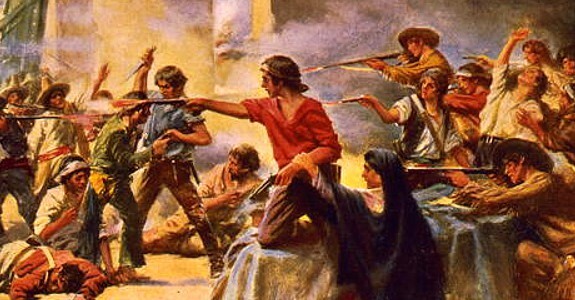 October 2, 1835 - The Revolution of Texas begins with the Battle of Gonzales when Mexican soldiers try to disarm the people of Gonzales, but are resisted by local militia. By November, Texas proclaimed the right to secede from Mexico with Sam Houston taking command of the Texas army. His Texas army would capture San Antonio on December 9. December 16, 1835 - A fire in New York City rages, eventually destroying 530 buildings, including the New York Stock Exchange. 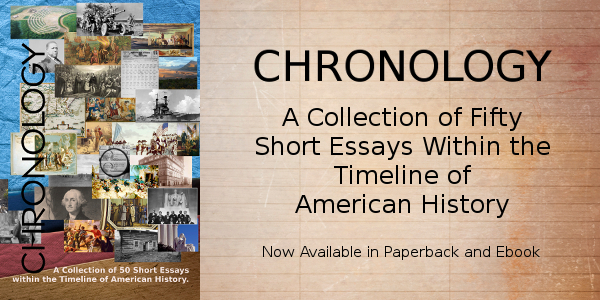 December 29, 1835 - The Cherokee tribe is forced to cede lands in Georgia and cross the Mississippi River after gold is found on their land in Georgia, which results in the Treaty of New Echota. February 3, 1836 - The first convention of the American Whig Party is held in Albany, New York. 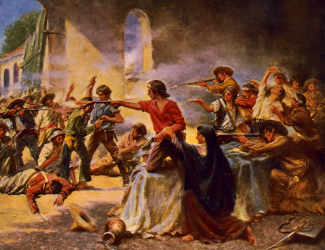 February 23 - March 6, 1836 - The battle for the Alamo is waged in San Antonio, Texas when 3,000 Mexican troops under Santa Ana attack the mission and its 189 defenders. Texas troops lose the battle after a thirteen day siege. On March 2, 1836, Texas independence was declared at a convention of delegates from fifty-seven Texas communities at Washington-on-the-Brazos, making them an independent nation free from Mexican rule. February 25, 1836 - The patent for the first revolver is awarded to inventor Samuel Colt. April 21, 1836 - The battle of San Jacinto is waged with Sam Houston leading the Texas army to victory over Mexican forces. Santa Ana and his troops are taken prisoner the next day along the San Jacinto River. July 11, 1836 - The Specie Act is issued by executive order of President Andrew Jackson. This act would lead to the failure of the economy of land speculation and the Panic of 1837. December 7, 1836 - Martin Van Buren continues the victories for the Democratic party in the November presidential election, defeating William H. Harrison, a Whig, 170 to 73 in the Electoral College vote. February 25, 1837 - The patent for the first United States electronic printing press is awarded to Thomas Davenport. March 4, 1837 - Martin Van Buren, as President, and Richard M. Johnson, Vice President, are inaugurated into office. March 4, 1837 - The city of Chicago is granted a charter by Illinois. May 10, 1837 - The global economic crises known as the Panic of 1837 begins with the failure of New York City banks and unemployment which would reach record levels. November 7, 1837 - Elijah P. Lovejoy, an abolitionist printer, is killed by a mob of slavery supporters, when he was trying to protect his shop from its third destruction. January 4, 1838 - Tom Thumb, the American circus performer, is born. January 6, 1838 - Samuel Morse, a portrait painter who later turned to invention, first publicly demonstrated the telegraph and developed the Morse Code system of communication. He would apply for a patent two years later in 1840. June 12, 1838 - The Territory of Iowa is organized. October 27, 1838 - Missouri governor Lilburn Boggs issues an order for the expulsion of Mormons from the state of Missouri. February 11, 1839 - The first university west of the Mississippi River is established, the University of Missouri. February 24, 1839 - Americans invent. William Otis receives a patent for the steam shovel. Later that year, American inventor Thaddeus Fairbanks invented the platform scales and Charles Goodyear invented rubber vulcanization. November 11, 1839 - In Lexington, Virginia, the Virginia Military Institute is founded. During the decade of the 1830's, German American immigrants introduced the tradition of decorating Christmas trees during the holidays to America. 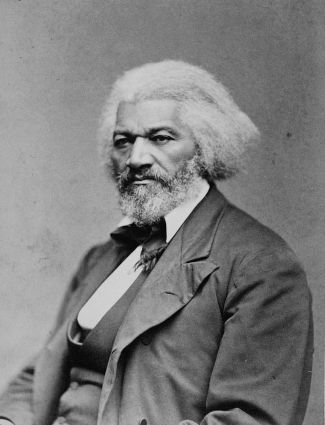 Frederick Douglas. Courtesy National Archives.